Hello Guys, We share some famous and hit dialogues of Bharat Ane Nenu film by Mahesh Babu. This is is political thriller film written and directed by Koratala Siva. Mahesh Babu and Kiara Advani played the main lead role. The film was released on 20 April 2018. The film has received a very good response from critics and audience. 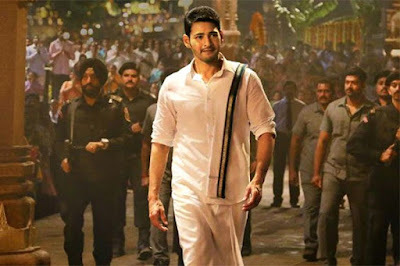 Mahesh Babu played a Chief Minister role named Bharat. Kiara Advani played the role of the Chief Minister's girlfriend. The film starts, Bharat a university graduate, returns London to India after the death of his father. the Chief Minister of Andhra Pradesh. Mahesh Babu performance is fantastic. The film has some famous dialogues, lines, and punches. Here we have collected best dialogues of this film 'Bharat Ane Nenu'. "Chinnapudu maa amma Nakaoka maata Cheppendi...Okka saari promise Chesi Maata Thappithe..You Are Not Called A Man"
"Eppatiki aa maata thappaledu...Marchipoledu, Naa jeevithanlone athipedda promise cheyalisina roju okatoccindi...Peddade kaadu, kashtamaindi kuda...Bharat ane nenu"
"Kaani enta kashtamaina aa maata kooda thappaledu..Because I am a Man ! We are living in a society..Prathi okkalaki bhayam bhadyata undali..Promise"